I had been worried and dreading flying with two 5-month old boys for the first time. 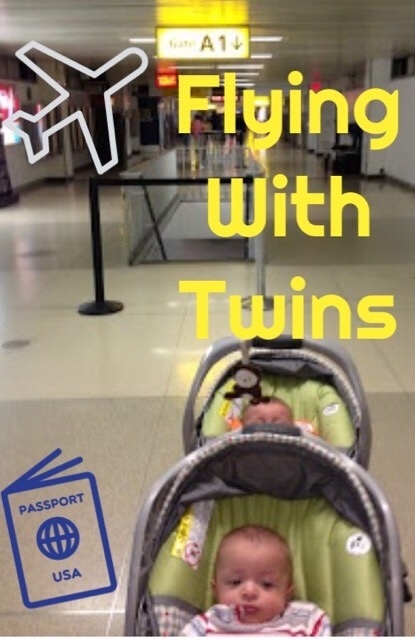 Here's our story and some tips for flying with twin infants. First of all, whenever possible pay extra to have a direct flight and try to fly via a smaller airport. 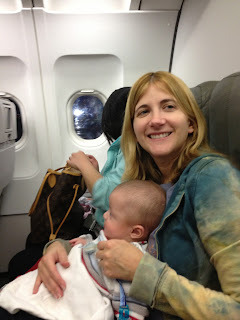 Unfortunately, we had to depart from Laguardia, but returned at the much smaller Westchester Airport.We chose the first flight out at 6 a.m. since those planes are less likely to be delayed, the security lines are shorter and our babies are used to sleeping at that time anyway. For our sons to fly free, we needed "lap child" tickets, which are indeed free while kids are under the age of 2, but obviously two adult seats were needed too. Thus, I couldn't fly alone with them both, unless I then paid for an additional seat and brought on a car seat. Also, bad news for twin parents, only one infant is allowed per each row of three seats due to their not being enough oxygen masks in case of an emergency, so my husband and I couldn't sit next to each other. Instead, we opted for aisle seats across from each other, so that we could pass the babies and diaper bag essentials back and forth to each other if needed. 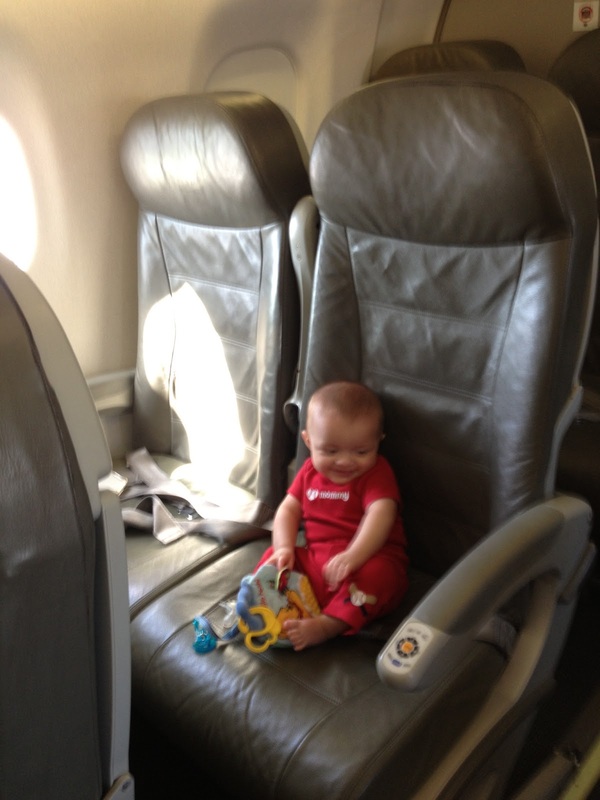 If seated in different rows, pack a bag for each baby. Out of respect to the other passengers and in order to be nearer to the bathrooms, flight attendants and water if needed, we selected the second to the last row from the back (row 24 on JetBlue). Don't pick the very last row though, because those seats don't recline and you'll need all the space you can get. The only bad thing about being in the back though, is it's noisier as people will often chat with the flight attendants while waiting for the bathroom, etc. Also, although their might be more room in an exit row or bulk head, avoid this since you can't put anything in front of you during takeoff and landing and believe me you'll want that diaper bag handy! 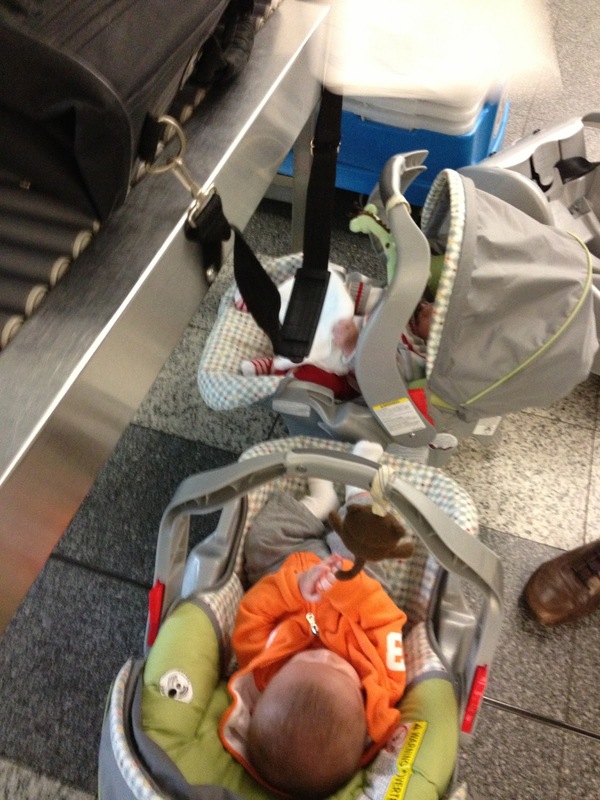 We checked in all our luggage, minus the diaper bag. At least with Southwest first bag per person flies free, so we took advantage of that. To make things even easier, we checked our bags in at curbside check-in and paid the $2 per bag fee + tip. It was more than worth it to have less baggage! For domestic flights only a copy of a child's birth certificate is needed, not the originals thank goodness as I'd be afraid to loose them. However, no one even asked for them though, but you should have them on you just in case along with your child's health insurance cards. Going through security was the more difficult part. 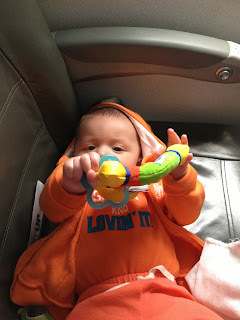 We lost a pacifier and a burp cloth somewhere between check-in and the gate and that's with having pacifier clips. Not to worry though, I had extras in my overflowing Petunia Pickle Bottom diaper bag back-pack, which allowed my hands to be free for babies. If you are traveling with breast milk or liquid formula, you can have over 3 oz, however, you have to declare that up front and there's an uncomfortable few minutes as they open the bottles, sniff the milk and then put it in a separate inspection system before handing it back. We only did this one way. The other time we brought on empty bottles and had to-go formula sticks. We then purchased a water bottle at room temperature, not from the fridge once we were near the gate and mixed their bottles while in-flight. You can also ask the flight attendants for water, but I was afraid the fasten seat belt light would be on when we needed it, etc. If you are traveling with a stroller you can either fold it up and put it on the belt or wait for TSA to come by and inspect the stroller. We thought the latter would be easier than folding up our large double stroller, however, it took FOREVER at LGA for someone to slowly walk over to us and take a look at the stroller. We had already went through the scanner as did all our bags and car seats before they even started to look at the stroller. So, if you can, fold-up your stroller and just put it on the belt. It might take more work and juggling, but you'll be on your way quicker at least. I purchased two Jeep Car Seat Travel Bags to store and protect our gate-checked car seats, that way they wouldn't get ripped or dirty while being stowed underneath the plane. They can also be used for larger child safety seats later on in life too. The bags have a long handle that allows you to swing them over your shoulder, so you can hold your baby easier while walking down the jet way too. This was another obstacle. We made the mistake of waiting until they welcomed children under the age of 2 on board to zip up their car seats. We were then passing babies back and forth, struggling with the car seats and diaper bag. By the time we boarded they already called the next group of passengers and we were stuck in a line with two squirmy kids. I overheard one woman say "I think she's going to drop the orange one" meaning my son. I didn't, but it wasn't easy and no one seemed inclined to help or move out of the way. So my advice would be to start this process as soon as they start boarding first class. After all that, we were finally on our way and the boys were perfect. They barely made a peep. They slept for 75% of it and the remainder we fed them or entertained them with a toy or by looking at the other passengers who came by on their way to the bathroom. Dress them in layers, because the temperature will keep changing. Wearing hoodies also came in handy when we put them on and over their eyes, they fell asleep easier and it helped to block out both sound & light. It got complicated when drinks were served as we couldn't hold the boys and put down our seat trays. Luckily, my husband was able to rest his water on the person's tray next to him, I was not. Also, we tried our best, but eventually we had to visit the restroom, so we were each left for a few minutes with two squirmy and annoyed kids in our arms. On the way back, the seat next to me was empty though so I was able to lie Baby A down next to me so he could sleep easier. Also, we made sure to swap who had babies on the return flight, that way we both got quality lap child time. Once your children are walking and/or sitting in their own seats, see tips below. 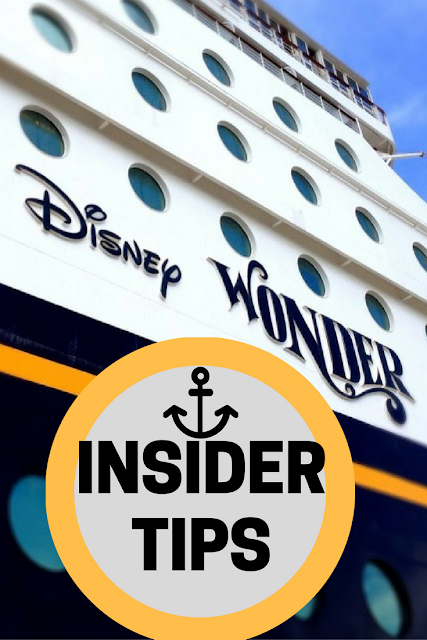 Do NOT board the plane during family boarding or pre-boarding, wait until the very very last minute. The key here is the less time they are on the plane the better. Let them run around the airport terminal beforehand to tire them out. Don't worry if people are looking at you, just let them get all their energy out ahead of time. 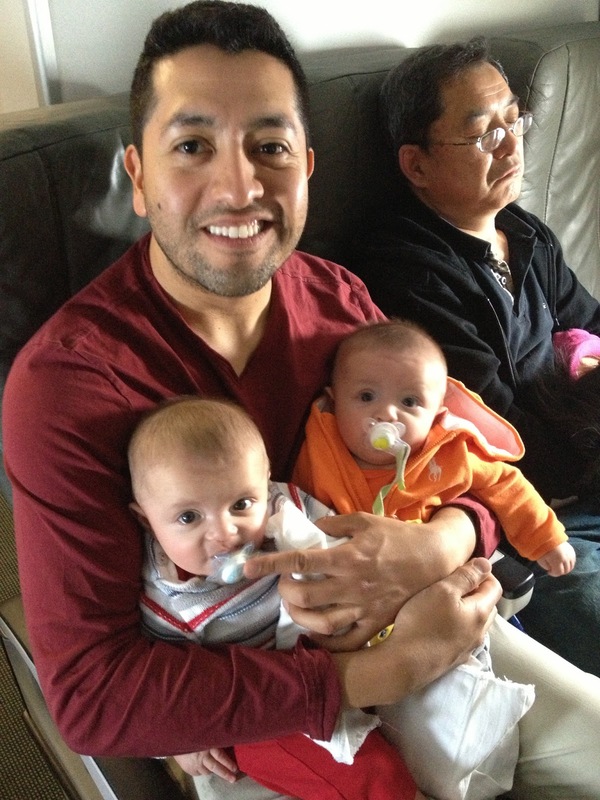 They are going to be strapped in on the plane so don't have them strapped in a stroller too. Pick seats in the very back of the plane so you are close to the bathrooms and flight attendants and it's more accepted to have kids in the back. Unveil a new toy/film/app for the very first time! We love LeapFrog and the Amazon Fire kid-friendly tablets. Also, Water Wow books let kids paint the same pages again and again with NO MESS! Have lots and lots of snacks! I totally over fed them during a flight when they were 13 months, but it kept them from crying or running away. I even gave them chips and other snacks that I normally wouldn't just so they were mesmerized for a bit with just eating on my lap. Pack a change of clothes (mine would pee through their diapers or pour juice on themselves etc.) and disposable changer pads for the bathroom.Your clothes will likely get dirty and sticky too, so you might want to pack an extra top for the adults as well. Avoid putting on baby shoes, sandals or Crocs once on the plane, they will just keep taking them off or they'll slip off in the activity. Just do socks once on board, comfy and less likely to make an impact when kicking the seat in front of them. 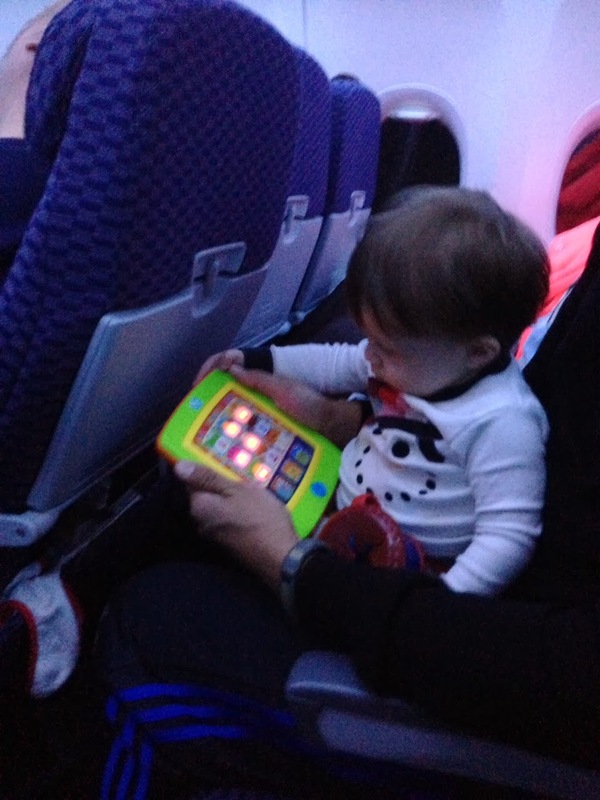 Play musical babies and keep switching which adult's lap they sit on or sit next to. Variety is the spice of life! Worst case, if they are over 3 you can also try Zarbee's all-natural sleep aid with melatonin (not gonna lie, we've done this on a late evening flight at a smaller dosage when they were only 2). If traveling internationally, your stroller has to be under 25lbs or they will make you check it before you even get to the gate. When we went to Beaches Turks and Caicos the same double stroller that we flew with several times domestically, we now had to check before going through security. This was terrible because we now had two running toddlers on the loose in the security area and almost getting hit by golf carts. Thus, lesson learned take a simple double umbrella stroller when traveling internationally since almost all normal double strollers are over 25lbs. Once they are over 2, you have to book their own seats. However, if you don't need car seats at your end destination (rental car companies offer them and even Uber!) and would rather not lug two kids and two car seats, simply purchase a Cares Safety Restraint Harness. It's the Only FAA Approved Child Flying Safety Device, which accomplishes the same thing without the bulk. It simply loops around the seat of the plane and acts like a 3-point car seat harness. It worked amazingly and we were the envy of the other traveling parents. 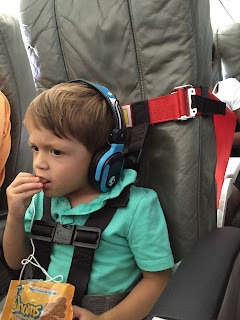 The boys didn't mind being in the harness as it gave them more freedom than a car seat and we liked that it still keeps them in their seat and from roaming the plane. Best of all, it easily fits into our diaper bags. This has revolutionized travel for us! Super easy. I know there's that popular Pin of parents giving out goodie bags to the folks around them just for sitting next to their kids, but I'm sorry, no one ever gave me *#$^ over the years for sitting next to BO guy, loud snorer or dude who took up both arm rests, so no, I'm not giving out presents and snacks just because they are sitting next to us. We all paid to be on the flight. I'm not saying you shouldn't be considerate to those around you, but you don't have to feel guilty either. 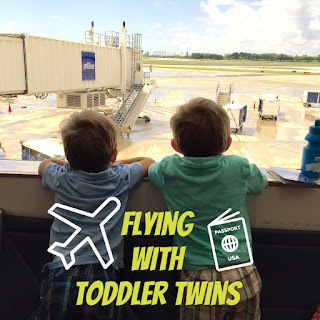 Once they were 2.5 we gave them each their own Skip Hop Safety Harness Back Pack, packed with a water bottle that we filled once past security, crayons, Hot Wheels cars, board books, wipes and snacks. Did they wear it all the time, no, but at least it kept them from fighting over who's toys were who's and gave us more room in our own carryon bags, etc. It comes with a leash to corral them if needed, as well as safety clips across the chest to keep the bag from falling off of them. Available in different styles too. Any other tips?! Please share them in the comments. Good luck and safe travels! I have read your post. 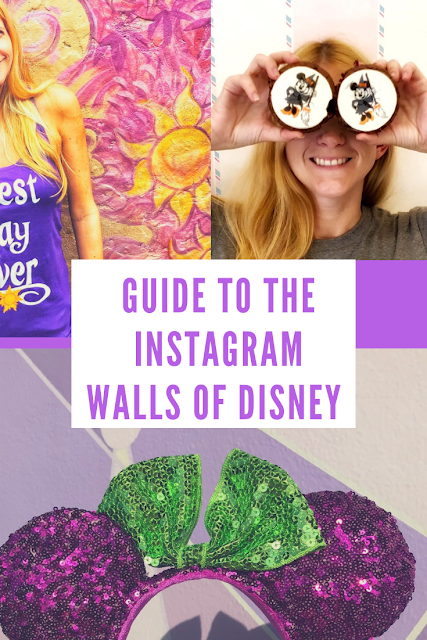 This blog is amazing! Thank you so much.... keep up the good work. Thanks for share a valuable tips.I am searching this information. 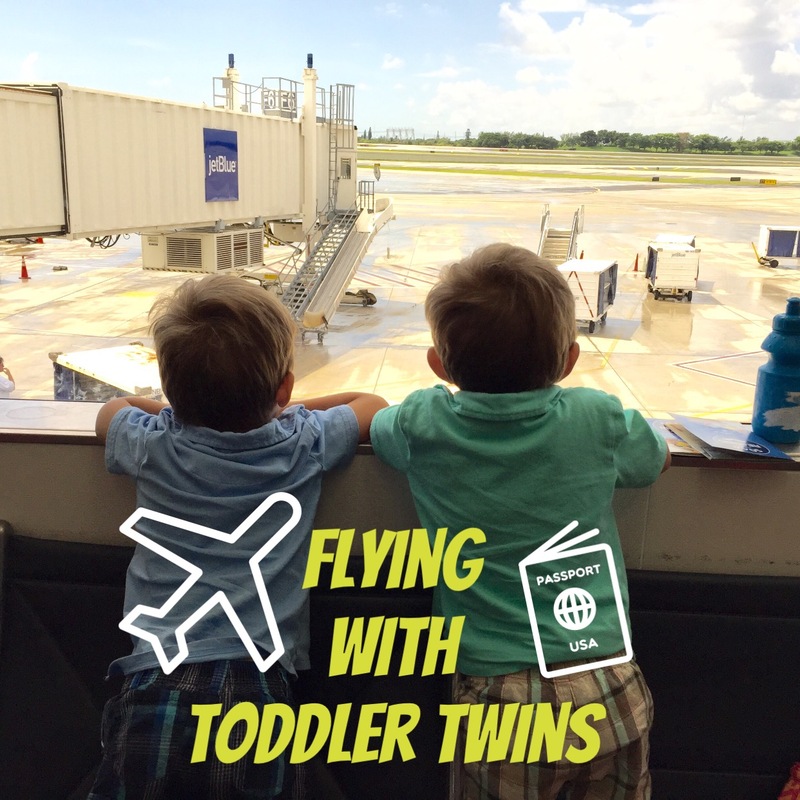 Hubby and I traveled with 21-month-old twins internationally. I'm not going to lie, no matter how many tips and tricks you take advantage of it is still HARD. But we had great success with painters tape, the girls stuck it all over themselves and all over the bulkhead wall while they toddled around and it kept them occupied for a bit. Comes off easily, so no tears and no nasty looks from the flight crew. every body like traveling and I love also. but it is too expensive. by the way it is very interesting. I appreciate your post and i agree with you. Travel stroller is very needy for newborn child. If you live in a city and rely on subways, buses, and cabs, and flying with plain you'll need a lightweight, compact travel stroller that’s sturdy and folds easily and quickly. 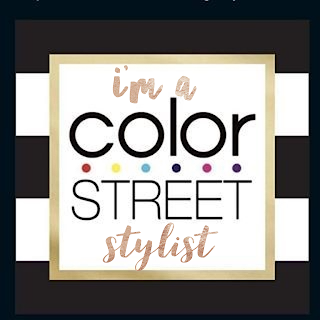 I just love your blog and articles, this are amazing.